1. Flake Ice Machine application in the processing of aquatic products: flake ice can reduce the temperature of processing medium, washing water and aquatic products, prevent bacteria from growing, and keep fresh in the processing of aquatic products. 2. Application of the processing of meat products: The flakes that meet the hygienic standards are mixed with meat and stirred. In order to achieve the purpose of cooling, preservation. 3. Application of food processing: such as in the production of bread, when stirring or twice creaming, use tablet ice to quickly cool down to prevent fermentation. 4. Application in supermarkets and aquatic products market: for the preservation of aquatic products, display, packaging, etc. 5. 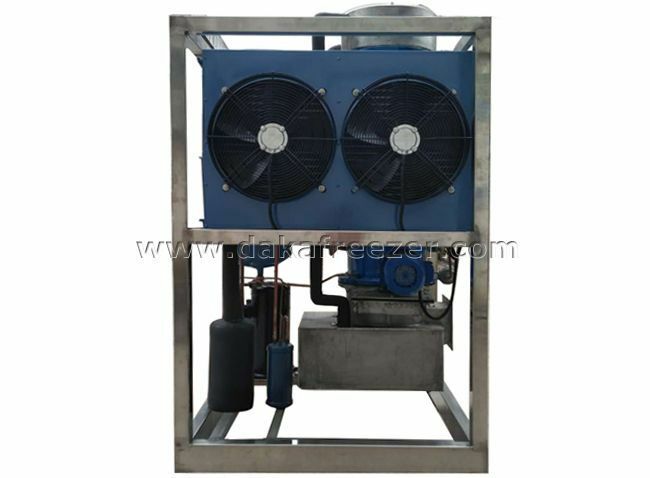 Flake Ice Machine application of vegetable processing: The process of harvesting agricultural products and vegetables uses flake ice to reduce the metabolism of agricultural products and the growth rate of bacteria. Extend the shelf life of agricultural products and vegetables. 6. Application of long-distance transportation process: products such as ocean fishing and vegetable transportation that need to be cooled and preserved are more and more widely used in long-distance transportation to cool and preserve fresh flakes. 7. It is also widely used in laboratories, pharmaceuticals, chemicals, artificial ski resorts and other industries. 8. Application in concrete engineering: When the concrete is poured in a wide range in the hot season, the pouring temperature of the concrete must be effectively and reasonably controlled. The flake ice + cold water stirring is an effective way. How To Choose The Reliable Performance Tube Ice Machine?